South Africa may experience a political turning point in the aftermath of the December 2017 National Conference of the ruling African National Congress. Building on an associated publication, Economics, governance and instability in South Africa, this paper describes three different futures for the country. 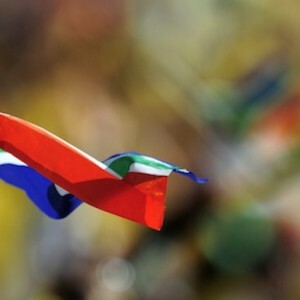 The first scenario is an uninspiring and business-as-usual Bafana Bafana scenario, an alarming downward scenario called Nation Divided, where the ‘traditionalist’ camp within the ruling party holds sway, and a desirable Mandela Magic scenario, where ‘reformists’ triumph and begin to address some of the country’s most pressing challenges. A related policy brief, Rainbow at risk, presents recommendations.